There are two kinds of users whenever you’re talking about a website. There’s the audience-user who is supposed to be able to easily find what they want from your site, and then there’s the person updating the website. You, the blogger. The business owner. The artist. The tagline for my first web shop was “Making the web easy for artists.” Sometimes I was able to create sites that lived up to that promise. They were always pretty and they worked well for the audience, but damned if they weren’t nearly impossible to update. I was good at one kind of user experience, but I relied too much on WordPress for the other kind – and that wasn’t always the best solution for the people I was designing for. It has to be easy to add content to a website or else you may as well be handing out brochures – pieces of paper that don’t change. And there’s nothing wrong with brochures! But that’s not what the web is about. The relationship between the web and the individual is unique. Everyone uses it differently. The longer I worked with artists and creative entrepreneurs, the more I was able to refine the web building process. I began to spend more time upfront asking clients a lot of seemingly weird, even intimate questions about their habits and how they ran their business. It wasn’t (just!) curiosity: I was designing a content-creation process for them first, before I even wrote a line of code. Together we considered how they would be adding content to their site and I began designing themes with that foremost in mind. I like to make things. I make stuff. I get a lot of satisfaction out of it. For the past fifteen years, I’ve been experimenting with new ways to use the web as a tool, or a story-telling platform. A toy. I’m always trying to find a way to make websites for people that are not just easy to use, but as fun and intuitive as scrap paper and scissors. Or as immediate as a sharpie and park bench. Hands on. Handmade. It should be easy for us to be web creators, not just web users. This impulse to create is what helped me define the goals behind the invention of the TechnoSiren Pattern Library. One – I want to make sites for people that are useful tools for creativity, not an obstacle in front of it. Two – I want to offer a product that keeps costs reasonable for someone who wants to DIY. Three – I want folks to be able to create websites that use the full and amazing power of the web to tell their own incredible stories. When your options are limitless (and the capabilities of the web in transmitting information in new and interesting ways can seem pretty infinite), you need a system. 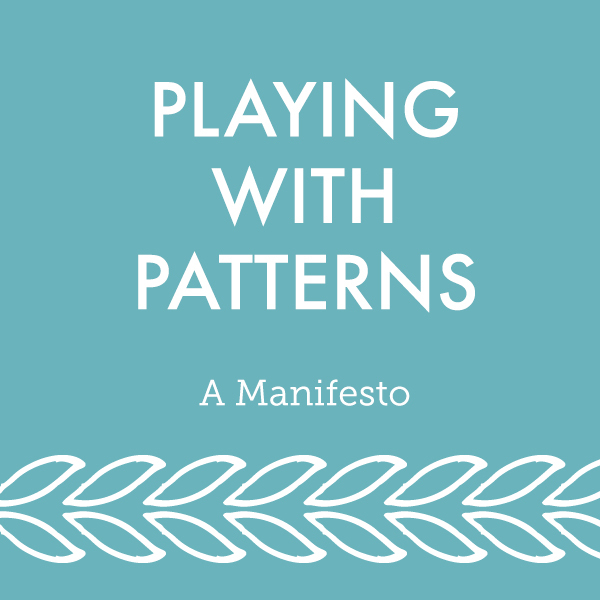 A pattern language. Something to hang your ideas from. The nine user interface patterns and three plugins from the TechnoSiren catalog are the result of years and years of obsessively trying new things, interviewing and working with artists and business owners, and paying attention to both the front and back end of website interaction. After testing and refining, and most importantly, PLAYING with these patterns, I have what I’ve been looking for all along – tools I can share with you that make it fast and easy to create something new on the web. A good website is like a good story; it uses timeless and familiar patterns in new ways to take you on an amazing journey.